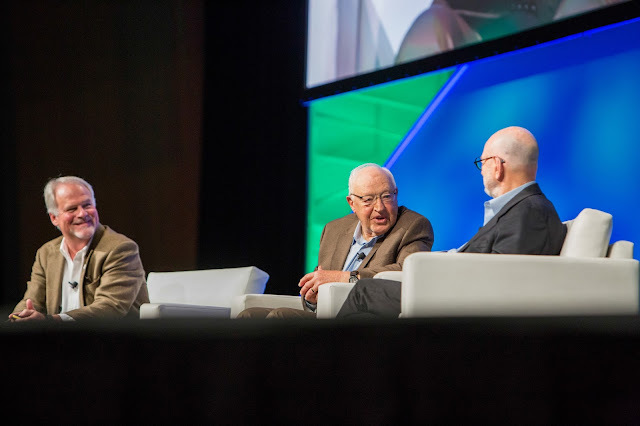 On October 22, 2016, it was my distinct privilege to moderate a very rare conversation between William "Bill" Johnson and Peter Walker, two legendary designers whose ideas and work had a profound influence on the field of landscape architecture over six decades. From their early days as Harvard classmates to the present, their work pushed the boundaries of the profession outward to embrace broad contextual concerns and inward to new artistic heights. As collaborators, they have sought to explore the potentially rich interface between these areas. They expanded our vision, and continue to challenge and inspire us. The interview was the Opening General Session of the Annual Meeting of the American Society of Landscape Architects (ASLA), held in New Orleans, before an audience of over three thousand. ASLA had the foresight to record the session as a high quality video, which can now be made available to design professionals, students and scholars now and it perpetuity. I'm very grateful to ASLA for the opportunity, and excited to share this remarkable conversation with all of you. James Richards, Bill Johnson and Peter Walker in New Orleans for "Shared Wisdom" interview. 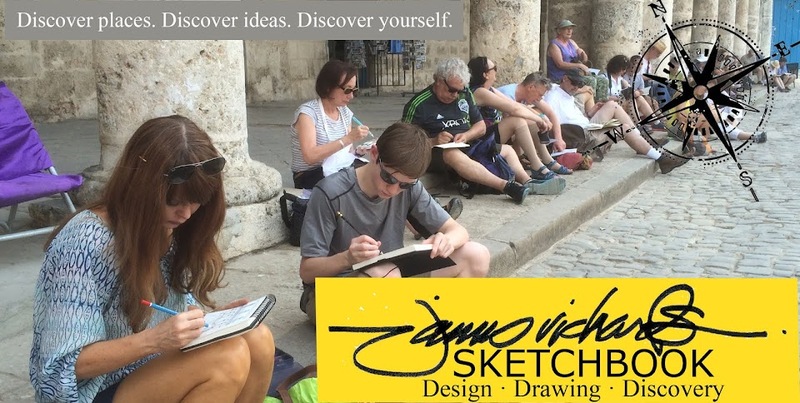 Awesome Sketching Workshops in Canada!